How does a great book draw you in? Is it the pictures? Maybe. Is it a familiar author? Maybe. Most likely, it is the author's craft that makes a great piece pop. The author weaves in personality by carefully selecting words and through well crafted descriptions. This is what is known as voice, one of the six writing traits we want our students to develop. 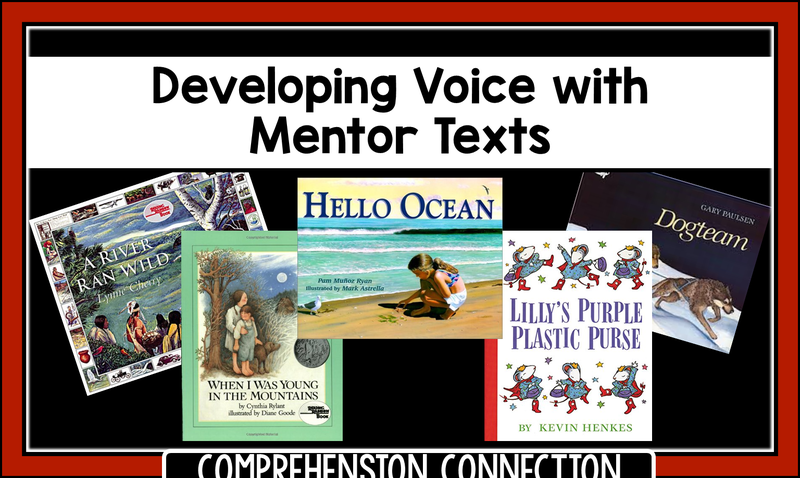 To teach students to recognize voice, we need to carefully select books that provide examples that our students can imitate. 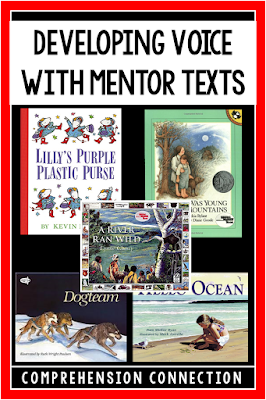 We share the books and analyze them for voice through class discussion, building charts with examples, and even by using the books in guided reading possibly. As you can tell from the title image, I will be sharing a wonderful collection of books you might use as well as print and go materials you might use with them. 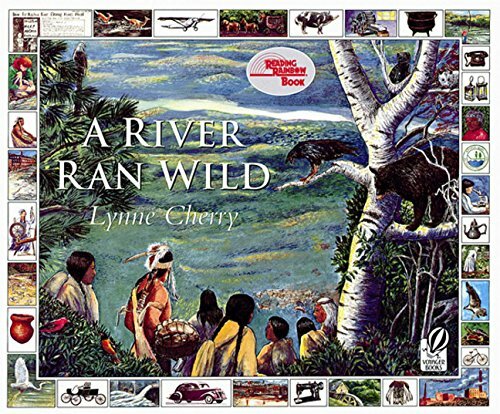 The River Ran Wild is an interesting book that would work beautifully with persuasive writing. The author's point of view is very clear throughout the book. She describes vividly how the land and rivers in part of New York changed as the area was settled and developed. Voice is shown through the description. I plan to use this book prior to writing persuasive letters to model how the examples included make the author's viewpoint known. Last spring, I developed a few reading lessons utilizing this book. You can access them here. These materials are free. 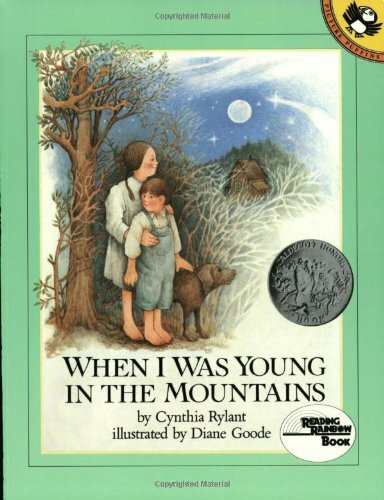 Another favorite of mine for personal narratives is When I was Young in the Mountain by Cynthia Rylant. I live in Virginia, and this book describes life in the Blue Ridge Mountains, my next door neighbor. Cynthia describes what life was like for her as a child. It's a patterned book, and it works well to model the effect of a repeated phrase. This book I have developed comprehension materials on too. If you're interested, you can access these materials here. This set is a paid product ($4.00). The next author, Kevin Henkes, knows his audience well. He pulls the reader in with his animated characters (who happen to all be mice) and keeps them with humor and actions that every child can relate to. 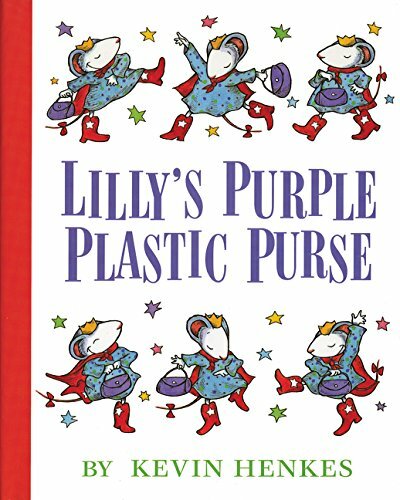 Lilly's Purple Plastic Purse is perfect for modeling comprehension skills such as character change, traits, and feelings, making inferences, and citing examples from the text. Voice is observed through the description of the classroom routines, Lilly's accessories, and Lilly's feelings. 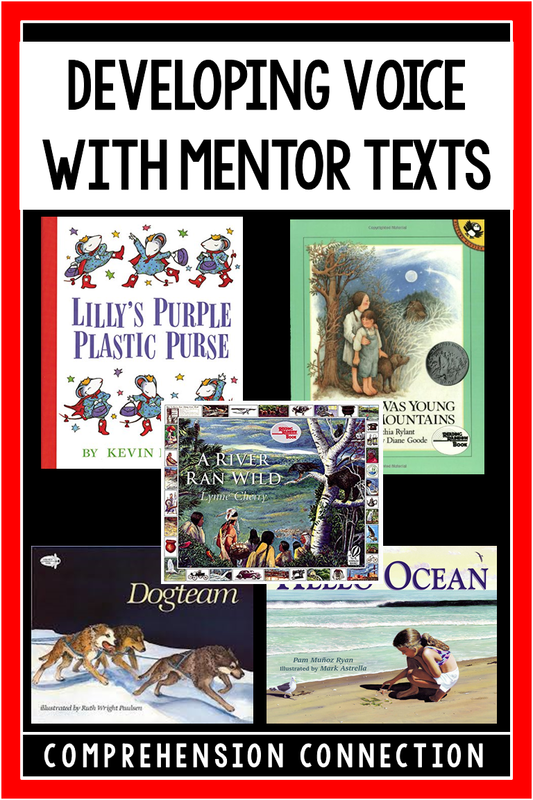 I have used this book with my guided reading groups. The unit I created to go with it can be accessed here. A really cute freebie project I found and used with my tutoring student is here. I just love the description in Hello Ocean by Pam Munoz Ryan. The book is a rhyming book and would work very well with poetry writing. The illustrations are just as beautiful as the writing, so definitely plan to use the book in a way for students to see it. 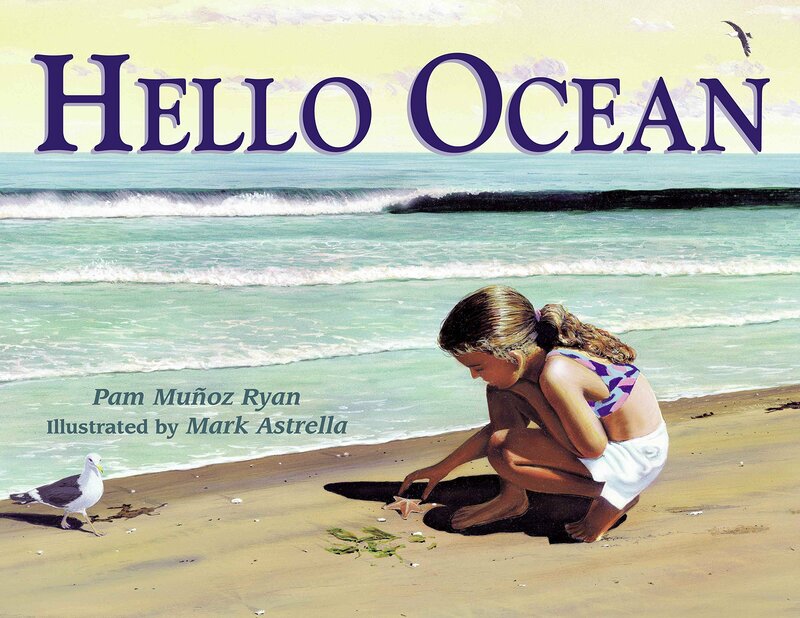 If you are not near an ocean, perhaps using a youtube video to show your students what it sounds and looks like might help them make connections to the book. Finally, several years ago, I had the pleasure of meeting Gary Paulsen at our state reading conference. He spoke for nearly an hour to a packed crowd of educators, and you could have heard a pin drop unless they were laughing over some of the stories he told. He was as real as you'd imagine. He has lived a hard life, and his books and writing have helped him through many challenging times. His love of his dogs is a definitely theme throughout many of his books, and his autobiography, My Life in Dog Years is a must for any Gary Paulsen fan. I like the book, Dogteam for the trait, voice, however. In this book, Gary writes about the experience of racing his team across the arctic through forests and across frozen ponds in the still of the night. I love how he uses figurative language to make the reader feel they are with him on the sled. This would work well for descriptive writing. Another similar title is Owl Moon by Jane Yolen. Both are set in the winter, so that may be a good time to utilize them. You can even compare/contrast them as both are filled with descriptive language.